This month I read two books, both a little different to what I usually pick up. I'm normally a novel kind of girl, but dipped my toe in to some non-fiction and really enjoyed it. 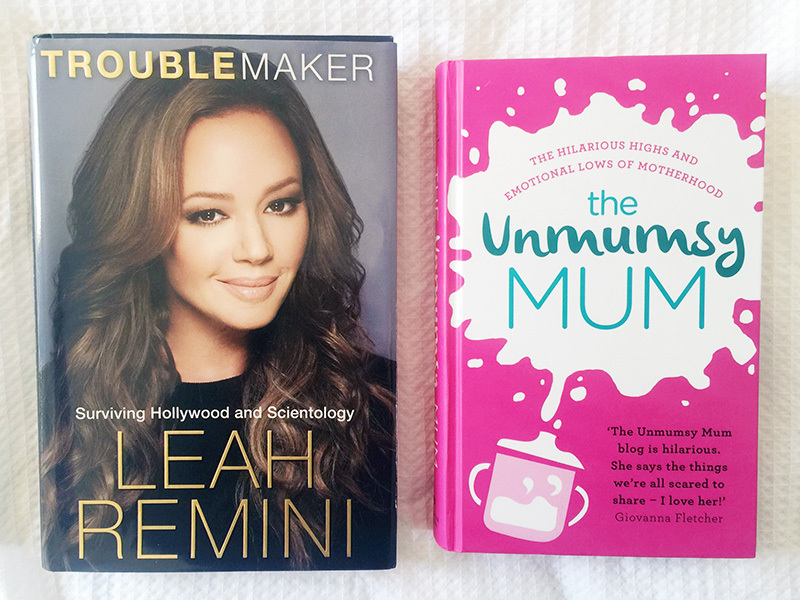 I don't tend to read many celebrity autobiographies,and if I'm honest I didn't even know who Leah Remini was until I read this, but I am so glad I did. My friend recommended it to me and it did not disappoint. As an ex-Scientologist Leah gives a detailed insight into a world that is usually quite private, and what she had to say was fascinating. If you're able to get your hands on this then definitely give it a go! Written by fellow blogger, The Unmumsy Mum, this book gives an honest and open account of parenting. I laughed, cried and found myself nodding along throughout it's entirety. It is so refreshing to read a parenting book which isn't all rainbows and unicorns, because the reality of having children is that sometimes life can be a bit pants.